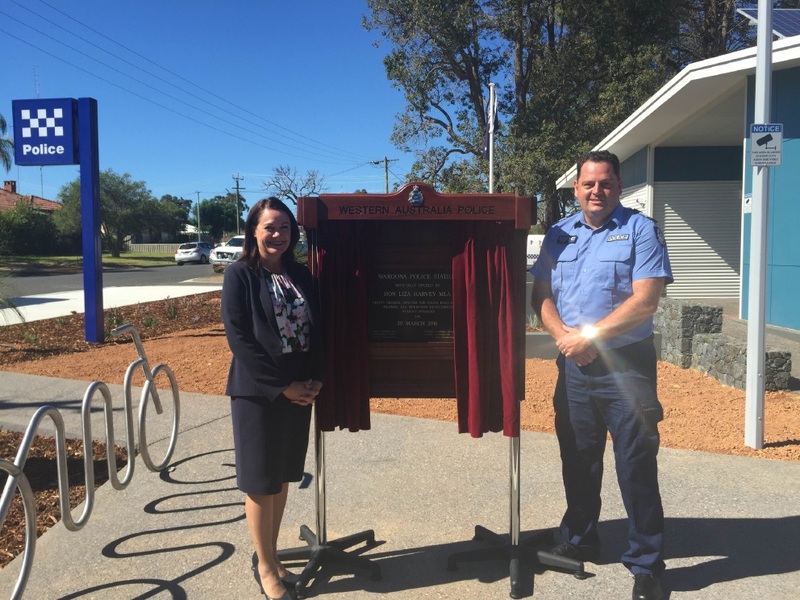 THE State Government has again signalled its commitment to community safety with the opening of the new $2.5 million Waroona Police Station. Deputy Premier and Police Minister Liza Harvey, who officially opened the station, said it was the latest in a string of new and refurbished stations opened across WA. Mrs Harvey said the station was built to the latest construction and WA Police standards and ensured officers were equipped with the resources and facilities to continue protecting the community. She said the station would not only comfortably accommodate the region’s current officers, but future growth in the area. The Shire of Waroona’s CCTV was also linked and displayed in the station, allowing police officers to monitor and respond to local issues. The Minister said the building campaign demonstrated the Government’s commitment to ensuring police officers were adequately resourced to do the best job possible to protect the community.